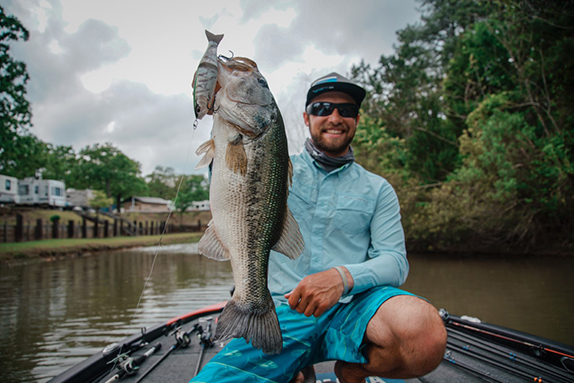 RE: Favorite Zoom bait � The Brush Hog in the 6-inch and 4-inch has caught me tons of fish over the years that I would have missed otherwise. Still effective after all this time. Now we need to Johnny Morris to get behind a real Super Bowl of Bass fishing. Top 10 from B.A.S.S. and top 10 from FLW - set it for late Oct./early Nov.
RE: Bassmaster Opens schedule � Not exactly a regional schedule. Going to be a lot of travel to fish each event in a grouping. Seems like you would want the Open tournament locations to be in one region of the country, closer to where participants live, to help cut down on costs, travel and time away from home/work. RE: Bassmaster Opens schedule � Just too bad when you see how many elite fisherman are from the West Coast that they don�t seem to want to come west. RE: Balog on repeat venues � Making a comparison between golf, bowling and racing venues to fishing venues makes little sense. 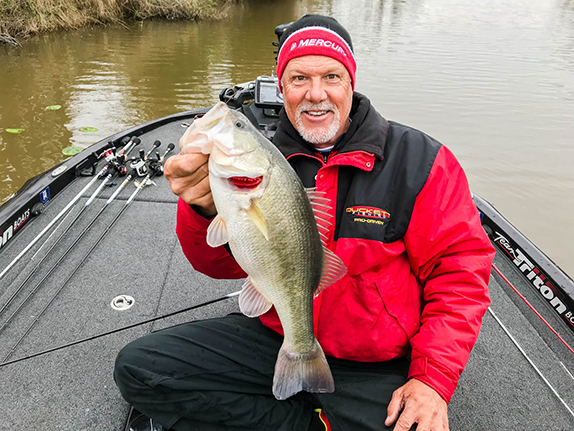 It is well documented that the consistent players in fishing have their "go to" hot spots that, in some cases, can be labeled as an advantage. Giving anglers of that caliber this advantage year after year doesn't seem fair, regardless of the economic boon to the host location. Putting 125 golfers on the same course holds no secrets, thus no advantages to anyone. RE: Douglas' mistake � Simple answer, just like a package deal for vacations. The tournament organization provides a license packet for all official tournament days, for all tournament waters. It would release the angler from technical violations on the water and place the fines and other penalties onto the tournament organization. Want to solve a problem right quick? Let the people at the top catch the heat. RE: Balog on repeat venues � I'm thrilled for the fans and the pros that Waddington has a multi-year contract. It sounds like Bassmaster-like events are highly desired in that region and a tour-level tournament brings a large group together for the benefit of everyone involved. I see nothing wrong with that. A mixed schedule with some repeats and some new venues (or at least a venue that has not been visited for numerous years) makes for an excellent schedule. I could find myself appreciating both types. I would have to imagine that most of the tour guys at least like fishing they St. Lawrence for the guarantee they are going to be doing some catching. I would rather spend a week at a venue like the St. Lawrence than a more stingy fishery elsewhere. At the same time, I can appreciate the different type of grit and preparation involved at a tough-bite venue. Again, an eclectic schedule is best. I would bet that FLW pros who fished all those years at Beaver will admit the lake fished different each time around. Different water levels, water temperatures, a different week earlier or later all make a difference in preparation for that particular tournament. The Daytona 500 may be at the same track and stadium every year, but the pavement drives different along with 50 other variables I know nothing about every year. I also see and appreciate the differences between MLF and a full-field tour event. As long as all competitors know the rules of the game their fishing that week, it's fair game. I hope that, at the pro level, the multi-day practice and competition format never disappears. That format over an 8-event schedule (give or take) makes for a professional-level format. There is some validity to "the best will be the best" regardless of format. RE: Balog on repeat venues � Give the waters a rest! Every year for several years will help ruin the fishery. Shame on FLW, B.A.S.S. and others for doing this! I've seen it ruin local New York fisheries and take years to come back. More fish die after release than admitted to! Today, Aug. 24, is Mr. Ray Scott's birthday. Happy birthday, Bass Boss! Thank you for all that you have done for us. RE: Thliveros likely won't fish Tour � Truly one of the sport's all time greats. Maybe a break is in order � only proves he�s normal. I shall look forward to Pete returning to pro competition. I remember the great wins Pete had (upstate NY) when he fished with B.A.S.S. Carolina-rigged fluke � very original. RE: Thliveros likely won't fish Tour � Funny how things change. Peter T. is one who I consider a friend and one I�m sorry to see end a career. He, Kenyon Hill, Mark Tucker and I all shared dinner one night in Del Rio, Texas several years ago. The topic of change was one that continued through dinner. The difference from years when we all fished these events and the change as youth was entering the sport. Then it was Casey Ashley and Jason Williamson who were among the young guns that year. Paul, Rick, Shaw and more have managed to remain and today�s crop of young college-honed anglers are really good. Challenging the elder group will always be the case. It�s natural progression and it�s a part of the plan. Just one none of us like, nor will today�s youth in 30 to 40 years. RE: Thliveros likely won't fish Tour � I had the pleasure of sharing a boat with Peter T. when he came down to this Delta in '98 for a K-Mart Top 150 event. Good guy, good fisherman. Followed Pete throughout his career ... had some dry spells and had some outstanding seasons and tournaments. Hope Pete enjoys his next chapter in life. One has to admire the tenacity of the pros. I would love the fishing in all the areas of the country they get to go to, but I hate driving long distances in very short periods, and really hate long periods away from my family. I do not believe a lot of the younger guys who want to chase that dream fully realize this part. Good luck, Pete! I very much enjoy watching FLW Live and weigh-in coverage without 20-pound sack after 20-pound sack being caught. The heat along with the stingy catching conditions challenged the mental side of these anglers to the fullest extent. It further justifies and validates the winner of a $300,000 check and title of FWC champion. All 3 days were very intense and ounces separated 1st through 10th. And the 10th-place competitor came back and won! I see this as excitement more than 8-pounders being help up. We can see that anywhere. But the human emotion side that shows out in events like this are what draws interest. RE: Thliveros likely won't fish Tour � Well said, Peter T. It is a shame that tournaments have sunk to this level of information sharing and poor behavior, but you know the old saying, money corrupts. I would guess that you are probably a better fisherman than 75 percent of the fields and have really enjoyed watching and listening to you over the years. RE: Thliveros likely won't fish Tour � It's sad to see actively fishing legends step away from the highest level of competition. It doesn't sound like Peter is completely hanging it up, but the article is still sad enough. Most BassFans in the age range of mid-30s and above have many memories of reading about Peter T. in Bassmaster Magazine in the '80s and '90s and FLW media when they came on the scene. It's a true reality check of how tough the pro tour must be to hear that it's gotten the best of someone like Peter T. And that isn't taking anything away from Pete's angling abilities. It just shows the tour level requires 100-percent dedication to be competitive. This is the saddest thing since hearing of Dion Hibdon stepping away for similar reasons. I'll personally never forget these names from not all that long ago. RE: Thliveros likely won't fish Tour � Big Peter T. fan! Great guy, great angler, class act. Always treats me with the same respect I have for him. Good luck with whatever you choose to do. Let me know when you get your captain's license � I would be love to be your first client! Can't FLW and B.A.S.S use drones to improve coverage, through mobile antennas? RE: Cup going back to Ouachita � I was really hoping for a new venue. This is way too much of the same and not interesting. Change to make it more accessible to a different group. RE: Cup going back to Ouachita � Wow. Really, FLW? After reading the complaints from FLW Tour pros last week and the horribly boring tournament of this past weekend? I think Saturday they had eight fish catches on the live streaming of the Cup. It,s a championship event. It should be fun. Fun for everyone, including fans and viewers. I can already hear tour pros groaning, understandably, about next year's event. Bad idea, FLW, bad idea. RE: Forrest Wood Cup � Unreal, none of the big guns predicted to win even placed. You just never know. Congratulations, Clent Davis, on n the win � 10th to 1st is pretty special. RE: Raul Morineau passes � Got to fish with Raul in an old Anglers Choice Pro-Am event once here in Texas. What a great guy to spend a day in the boat with. I still have fond memories of some of our great conversations we had that day. RE: Raul Morineau passes � I drew Raul in the early '90s in a B.A.S.S. Invitational. I only caught one bass that day, while we were anchored in one spot most of the day. He had electric anchors!! But what I learned from him led me to a 3rd-place finish. I always looked forward to seeing him. He never met a stranger and always had a smile. Great guy. I'm glad I knew him! 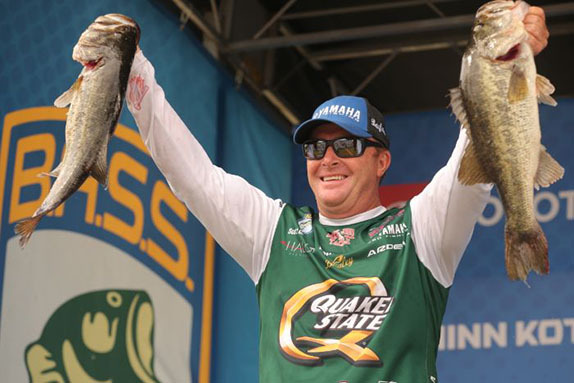 RE: Tournament cancellations � After the Okeechobee event, I think all organizations are going to err on the safe side. RE: Tournament cancellations � A couple points. I've fished both bodies of water in question. In 1991 I fished the Classic on the Upper Bay and practice day No. 1 was cancelled due to weather � B.A.S.S.' first cancellation. The bay is real big and if they moved down the bay it would have been okay. The Susquehanna runoff eddies across the NE and getting out would have been an issue. Elite Tournaments are all about money and the show and moving one is not really an option. As for the Great Lakes, I'm okay with the St. Lawrence River or even St. Clair but the Lakes, bass boats do not belong on them. As for speed limits and sanity, I still liked the 150-hp B.A.S.S. limit. RE: Tournament cancellations: Wrong about Chesapeake, right about Erie.